What is Equine Body Work? This is a non-invasive therapy which is based upon Equine Sports Massage however, it also utilises a variety of other massage techniques and other complementary therapies to help the horse. The treatment consists of a full body massage and stretching routines. 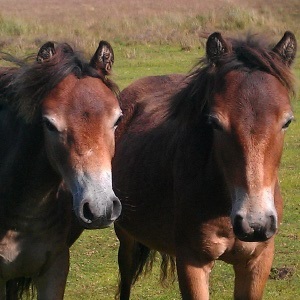 Benefits of Equine Body Work? What is Canine Body Work? Body Work for Canines is also available so that dogs can also benefit - typically dogs can obtain benefits similar to those that are listed above for horses. Many types of dogs can benefit from canine body work - from puppies to more "vintage" dogs! Whether they are working or agility dogs, show dogs or family pets and also as part of rehabilitation programmes. What Type of Horse or Dog Can Benefit From Bodywork? Horses or dogs who compete regularly (e.g. showjumping, eventing, dog agility, etc) can experience benefits from an equine or canine bodywork therapy session. However, any horse or dog can find it beneficial - whether they're old or young, after all being able to be as mobile as possible is something that everyone wants to enjoy, including your horse or dog! A regular Equine or Canine Bodywork session can be beneficial, even if your animal doesn't have a particular ailment. For further specific advice for your animal, do speak to your Veterinary Surgeon though! It is very important, as with all complementary therapies to use qualified practitioners only and to remember that no therapy is a substitute for veterinary care. Remember - It is an offence for any person, other than the owner of the animal, to treat an animal unless the permission of the vet in charge of the case or to whom the animal would be referred is sought and obtained. Qualified Equine and Canine Body Workers will normally be registered with the International Equine Body Worker Association (IEBWA) - who require that members are fully insured, plus that they carry out a number of hours of continued professional education each year, so that their skills and knowledge are maintained and enhanced. Therefore it is advised that you use certified Equine or Canine Body Workers who are members of the IEBWA. 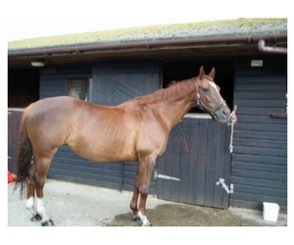 Would you like information on Equine or Canine Bodyworkers near you for your animal? Please email us at info@taranet.co.uk - we'll be pleased to try and assist, wherever you are in the world!